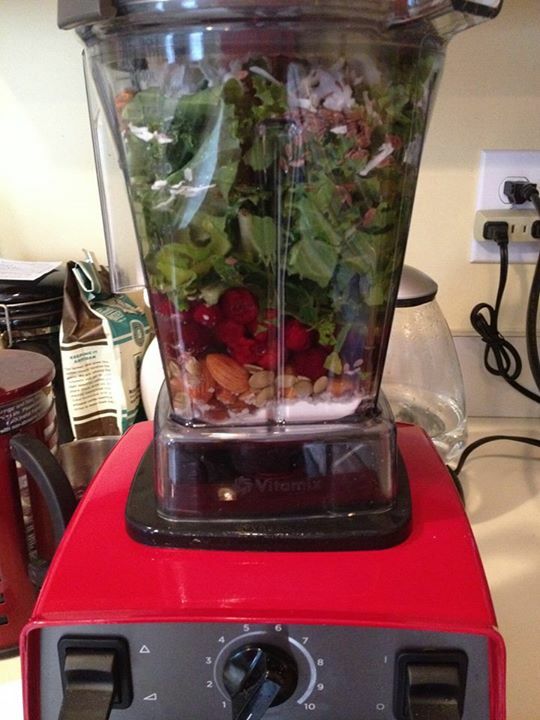 I just had a birthday, and bought myself a Vitamix Blender. Too bad they don’t have purple, but red is the next best color, right?!?! One of my sisters sent me a protein smoothie recipe and so I finally decided to make it this morning for a recovery meal after I rode the bike trainer for 90 minutes. 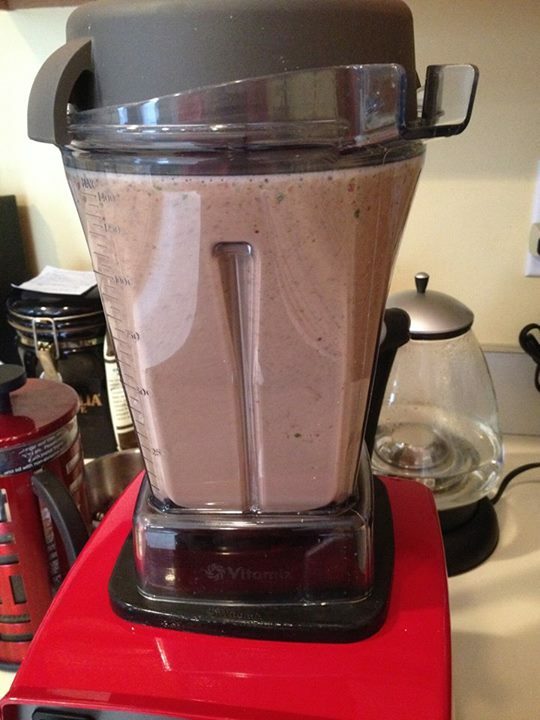 Although it has a cup of greens in it, it is not really looking like a green protein smoothie! But it was tasty! 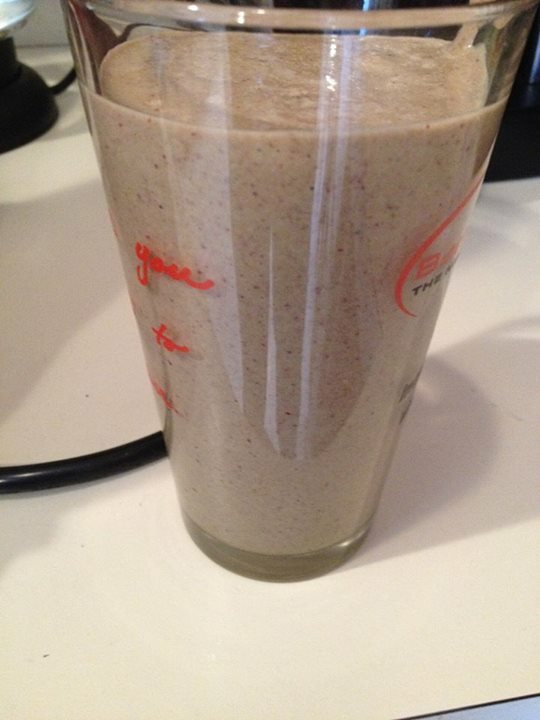 1-1 1/2 cups liquid – I used an herbal tea left over from yesterday with more water.